The book is divided into different sections; initial sounds, final sounds and medial sounds. There is also a section for blending. 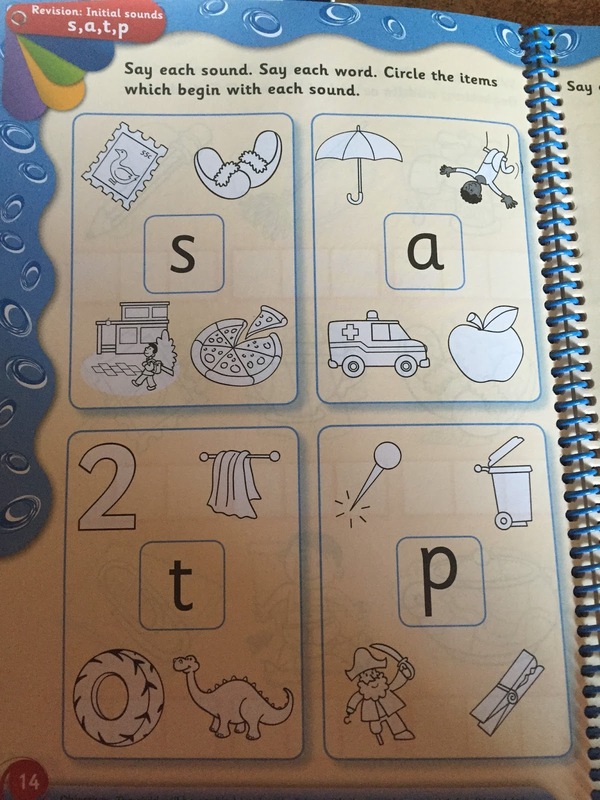 There is a learning objective at the end of each page; ‘The child will be enabled to identify items with the initial /t/ and /p/ sounds. 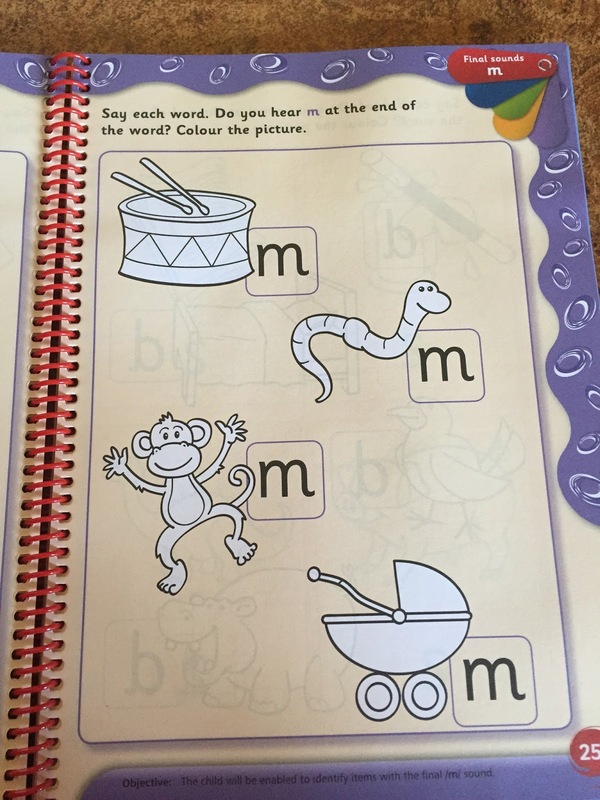 On these pages children need to say the sound, say the word and match the pictures that begin with the sound to the letter. 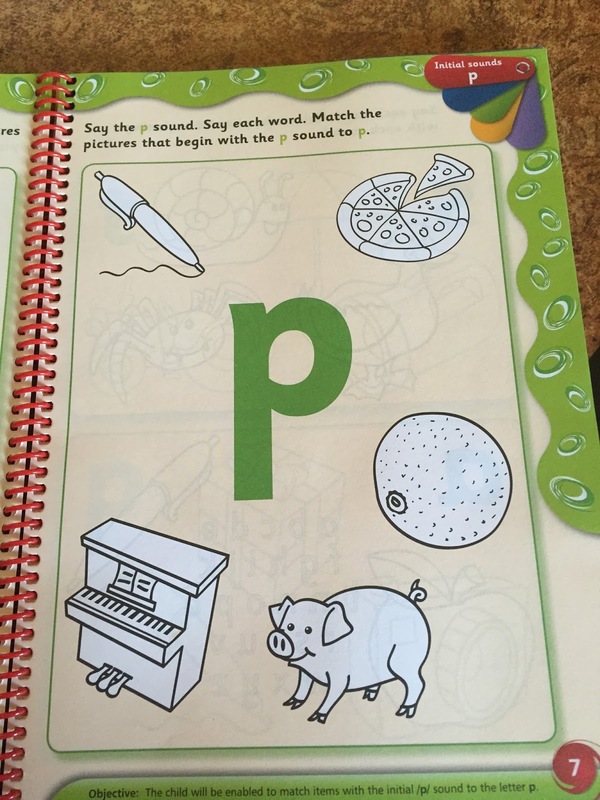 Here is a revision page where children say the word and colour the pictures beginning with each sound. 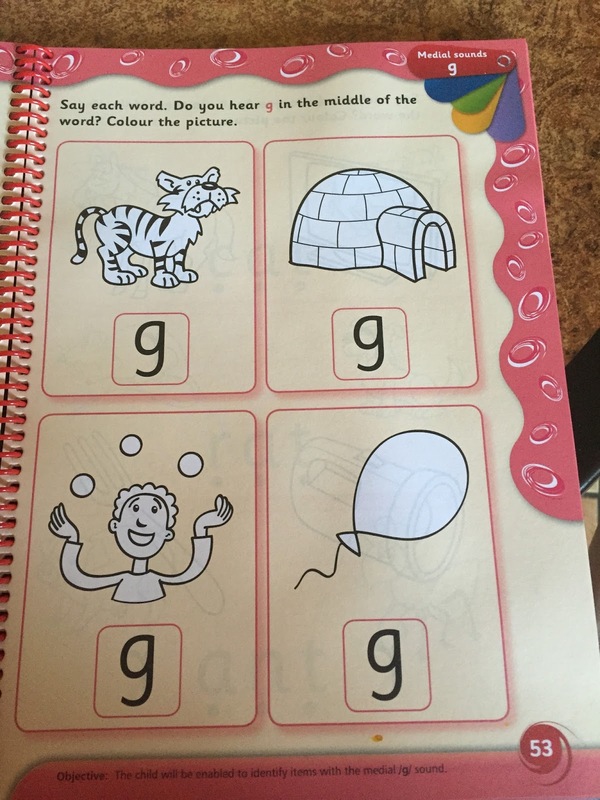 These pages cover ‘final sounds’. 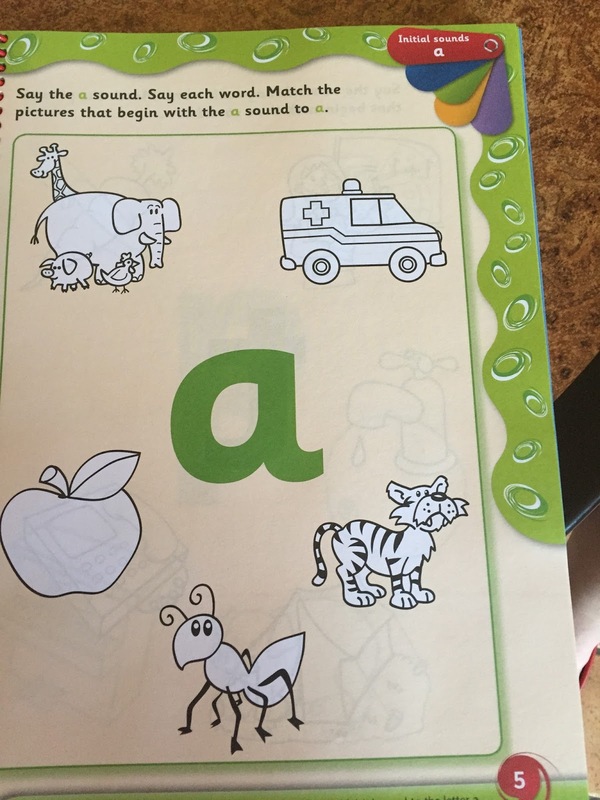 If the final sound in the word is ‘A’ the children colour in the picture. 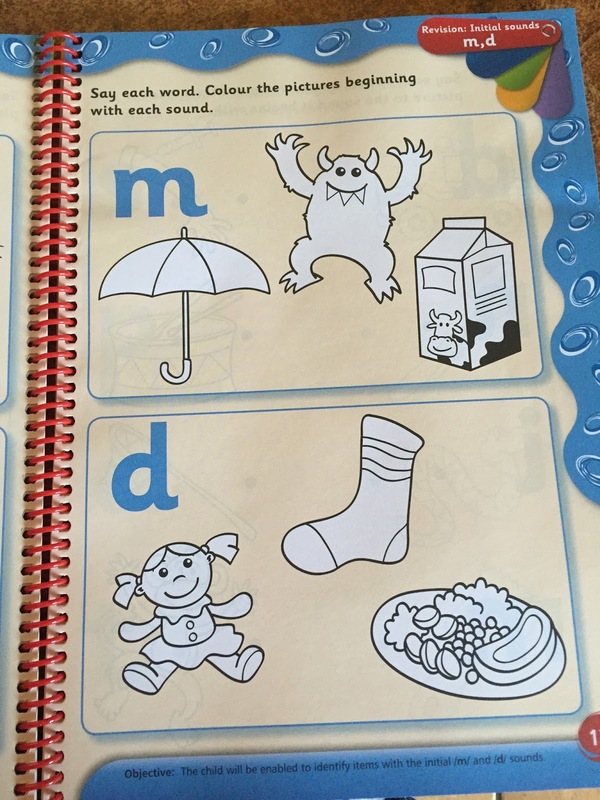 This page is based on medial sounds. 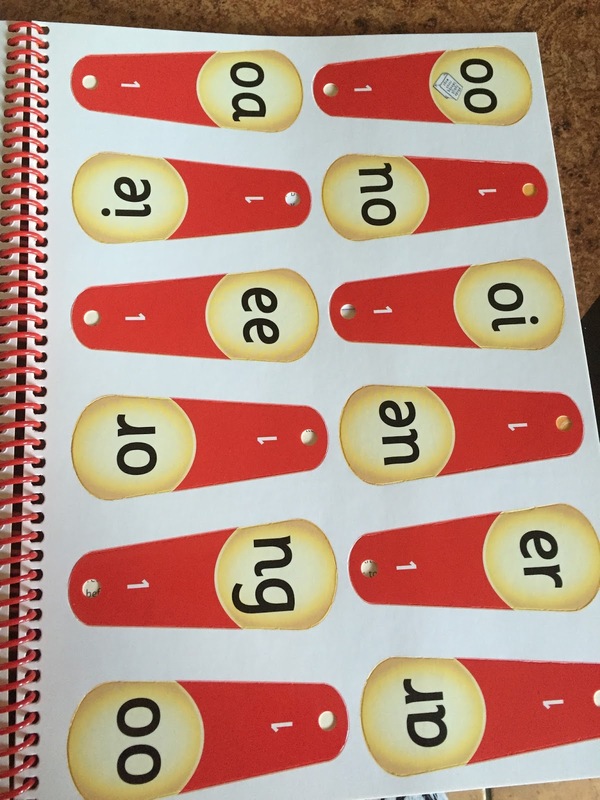 There are laminated phonics fans templates at the end of the book which you can use to create phonic fans. Revision pages of what the children learned in Junior Infants. Children need to say the word and then write the initial sound. At senior infant level, children are also practising their handwriting. 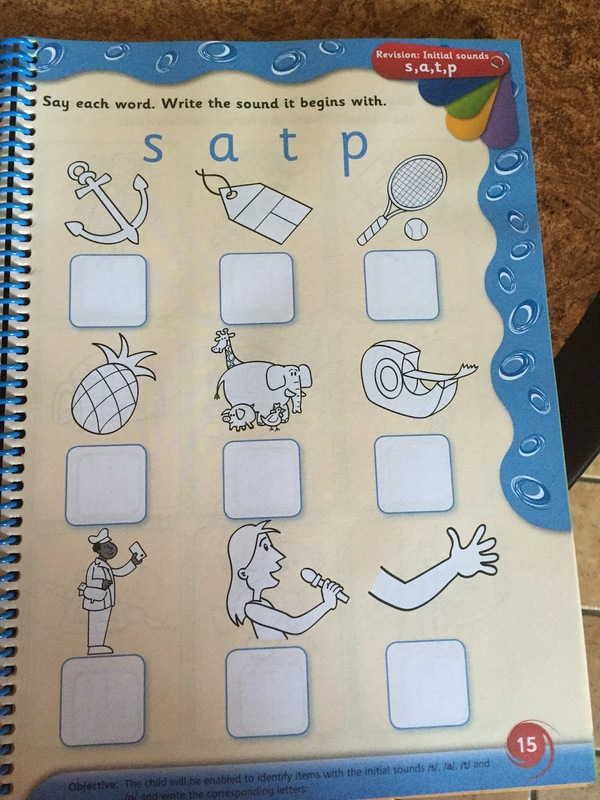 Blending section – children are required to blend the words and circle the word that matches the picture. Here children need to match the word with the picture – once again using their blending skills. 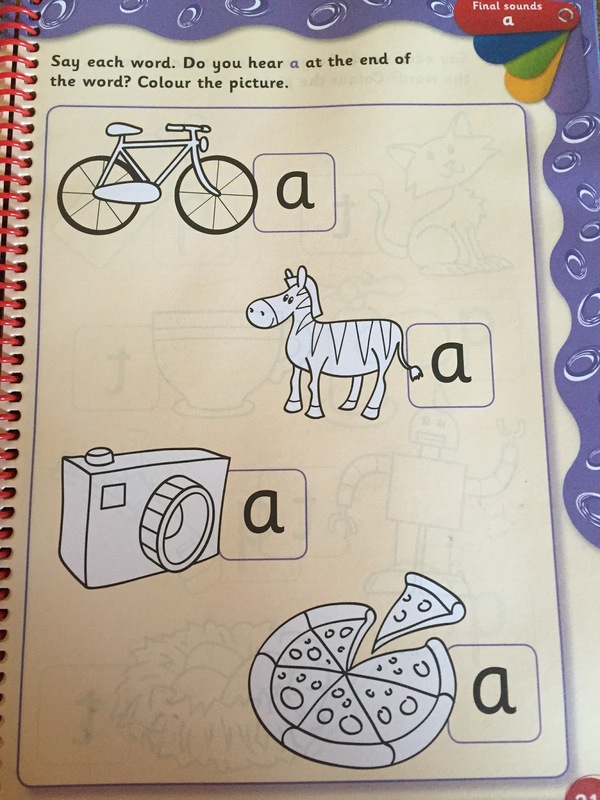 Children need to add the correct letter to make the word. A directory of words with extensive lists of vocabulary for each sound. 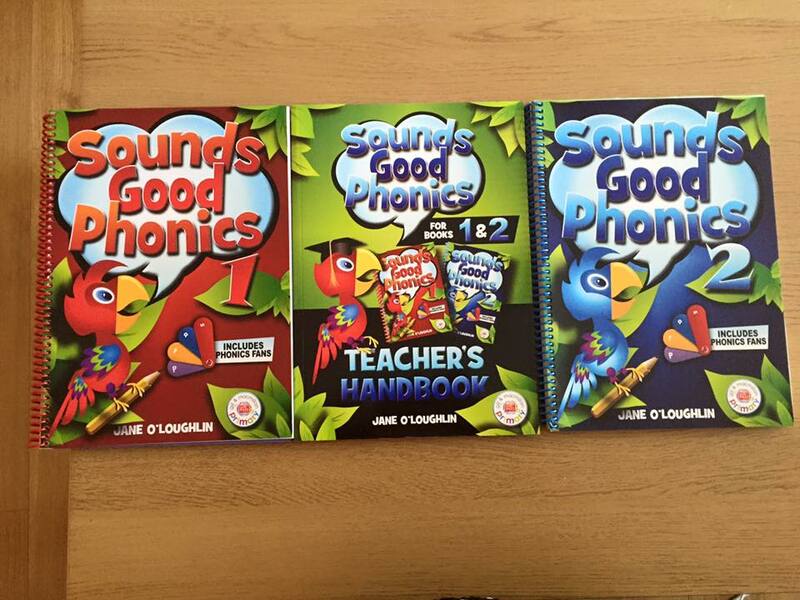 Overall this series is a very comprehensive phonics programme which enables children to learn initial medial and final sounds and how best to blend and segment words to aid with reading and writing. The children’s books are spiral bound and the pictures and activities are interesting and appealing. The objectives give a clear focus to what the Child should be enabled to do at the end of each session. The teachers book offers useful activities and sequences for teaching as well as additional ideas for individual and group work. Go to www.phonics.ie for more activities and resources!